Located on Orebed Road off Route 6, near Mansfield. Copied by Wedall Cordell Holmes and also by Rhoda ENGLISH Ladd of Wellsboro. 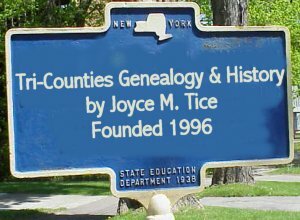 Note from Joyce M. Tice - This cemetery is NEAR Orebed Road but not on it. See directions below on the 2005 listing. It should more appropriately be called Schodac Cemetery rather than Orebed Cemetery. It is entirely possible that when the 1970s listing was done, the roads were not clearly marked. I am leaving the name here because it was published in 1970s as Orebed and that information is needed for cross reference to the correct name of Schodac Cemetery. Deeded as Schodac Cemetery. Dyke Clydie C. 3/3/1885 3 yr. 10 mo. Son of E.A. and C.E. Hayes Belva Louise 2/25/1915 Infant dau.of Frank and Janie M.
Sumner Earl A 1884 19?? Sumner Eva V. 9/19/187? 2 yr. 9mo. 21 da. 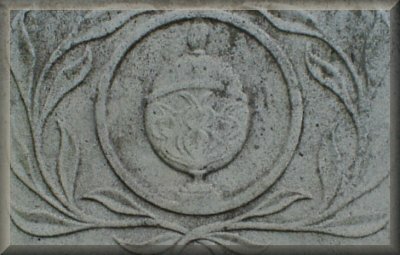 Dau of R. W. and Julia S.
Moore Minnie Champaign 1873 1955 On stone w/Jeremiah R.
Sumner Mary H. 1885 1921 On stone w/Earl A.
Sumner Julia A. 1846 1920 His wife - On stone w/Randall W.
Sumner Eva V. Sep.19.1870 2y9m21d d/o R.W. & Julia S.
Hart Eva M. 1865 1944 On stone w/James E.
Hart Adam Jul.30.1823 Co. A 171st Pa Vol. Harvey Alice R. Jul.20.1885 Oct.13.1885 On stone w/Ursula M.
Harvey Mary U. Sep.8.1893 Oct.7.1893 On stone w/Ursula M.
Watkins Mary Tubbs 1865 1936 On stone w/Albert G.
Dyke Clydie C. Mar.3.1885 3y10m s/o E.A. & C.E. Bailey Lawrence J. 1905 On stone w/Mildred E.
Hayes Grace Apr.19.1885 d/o Edgar & Mary A.